In Brisbane’s floundering apartment market, research suggests buyers in the river city are turning toward a different type of attached dwelling: townhouses. A recent Place Advisory survey found more buyers in its database wanted to buy townhouses, turning away from apartments. Of those who responded, 24 per cent said they wanted to buy a townhouse, 21 per cent wanted to buy an apartment and the rest were chasing houses. Lachlan Walker, head of research at Place Advisory, facilitated the survey; he said the response was reflected in sales made by Place Estate agents. He said potential buyers were influenced by the highly publicised ebbs and flows in the apartment market. In Mr Walker’s experience, townhouses also tended to be a first home purchase or an temporary solution while families grow, and save for an unattached home. 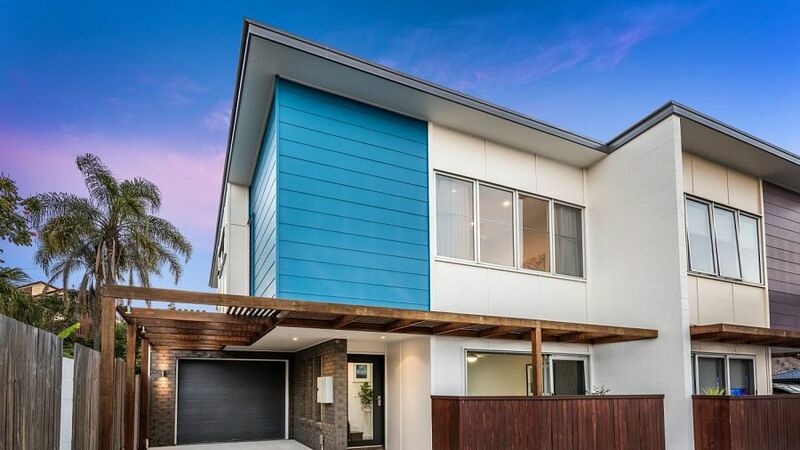 Shannon Rowe and wife Robyn were in the process of of selling their townhouse in Coorparoo. Mr Rowe said they’d bought the property because they needed more space than their old unit could provide. “We’d had our first child, we’d bought the place when we were pregnant. We moved in after Frankie was born and it was an interim measure,” he said. Mr Walker agreed that the size of apartments was a major factor of Brisbane buyers. The Rowes were also turned off by units due to their tendency to be “cookie cutter”. “There was a fair bit of diversity [in townhouses], you might go into a block of five and each one would be different. They’re not cookie cutter,” Mr Rowe said. The Rowes were moving on because they’d recently welcomed another child to the family, and had to find a new place with more space, just in case. They’d just bought a five bedroom home in Coorparoo. Place Advisory’s survey included more than 500 people, and was conducted a month ago.